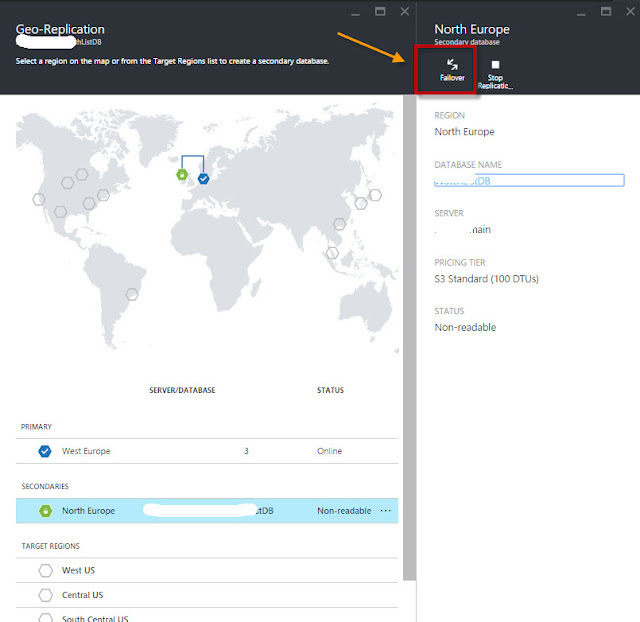 New feature was released lately - Fail Over in the Geo Replication in SQL Azure. As You can see they added Failover feature. That means that until today you have Primary and Secondary DB's, DATA moved on one direction and you could disconnect the connection when ever you wish. but then you have to build everything from the beginning, (you can look in my old post about geo-replications types in sql azure). Now DATA moved backward, when you click Fail over - you still have 2 DB's but the Secondary become Primary and vise versa. I this this is a great feature.